with the Virgin for Vladislas II, King of Hungary. 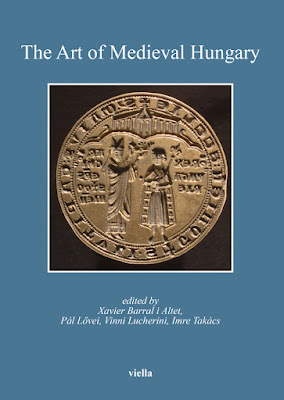 As the online journal Obeliscus reports, an international conference takes place in Debrecen these days (April 10-11, 2015), dedicated to the Jagiellonians. Titled The Jagiellonians in Europe: Dynastic Diplomacy and Foreign Relations, this international conference and roundtable is dedicated mainly to historical questions. The full program is available on the website of Debrecen University. The material of the conference will be published soon. Then coming up next week, the Kunsthistorisches Museum in Vienna will host a conference to commemorate the First Congress of Vienna of 1515. This meeting of the Habsburg emperor, Maximilian I, and the Jagiellonian brothers, Vladislas II, King of Hungary and King of Bohemia, and Sigismund I, King of Poland, was a turning point in the history of central Europe, due to the Habsburg-Jagiellonian mutual succession treaty made there. The meeting and the treaty ultimately led to almost 400 years of Habsburg rule in Hungary, after the death of King Louis II at the battle of Mohács in 1526. The program of the international conference can be consulted on the website of the KHM. Update: the Museum also launched an online database commemorating the Congress (which in its current state does not seem to be all that usefeul). You can find it here. A few years after the huge exhibition held at three venues and dedicated to the art and culture of the Jagiellonians, these events indicate continued interest in the Jagellonian dynasty. This is also shown by a major new research project dedicated to the dynasty, which commenced last year. Based at the History Faculty, University of Oxford, the five-year project is supported by the European Union. On the Oxford Jagiellonians research project, see the information provided by Medieval Histories, or visit the website of the project. The Europa Jagellonica exhibition has recently finished its run, closing at the third venue, in Potsdam. I had a chance to see the show in Kutná Hora, as well as in Warsaw, and have seen all the publications accompanying it. In the following, I will provide a brief overview and review of this major European project. As the website of the project informs, the international exhibition EUROPA JAGELLONICA is a joint Czech-Polish-German project and the first exhibition on the European dynasty of the Jagiellonians during the period around 1500, which was of great significance for Europe. This project has been in the making for a long time. Organized by the Centre for History and Culture of East Central Europe at the University of Leipzig (GWZO), the basis for this project was the interdisciplinary and international research project, "The Significance of the Jagiellonian Dynasty in Art and Culture of Central Europe 1454–1572", which was carried out from 2000 to 2005. Dr. Jiří Fajt (GWZO) is the chief curator of the project, and Dr. Susanne Jaeger (GWZO) is responsible for the coordination. After several unsuccessful attempts, the exhibition finally got the green light as well as European funds, and was realized together by the Czech Republic, Poland and Germany. Hungary - which was originally supposed to have been part of project - did not become an organizing partner and a venue in the end, but contributed several loans to the exhibition. "The time frame covered by the exhibition starts with the coronation of Jogaila (Władysław Jagiełło) in 1386 as King of Poland. Thanks to prudent political alliances, the Jagiellons ascended to the thrones of Bohemia and Silesia in 1471 and of Hungary in 1490. The resulting commonwealth of nations – Europa Jagellonica – spanned vast territories with a total area surpassing two million square kilometres, from the Baltic to the Black and Adriatic Seas. At the same time, strategic marital unions arranged for Polish princesses expanded the family’s influence to include the Reich states – Brandenburg, Braunschweig, Bavaria and Saxony. This unique amalgamation in Central Europe left its mark on not only the political atmosphere there but on the economies of the individual nations, the intellectual culture and social mentality of the day, and the arts. [The exhibition] will highlight the period’s unique circumstance of cultural diversity amidst unity – the coexistence of regional cultures and the formation of a common tradition. From such a perspective, the old Jagiellonian commonwealth becomes a fascinating reference point for reflections on modern times." Further information about the project is available at several sites, first of all on the website of GWZO. Various flyers of the exhibition - including one in English - are available online from here. The original central websites of the project - www.europajagellonica.com and www.europajagellonica.eu - are no longer online, however, the www.europajagellonica.de provides information on the project. The websites of the various venues also provide information and photos of the exhibition: GASK in Kutná Hora, the Royal Castle and the National Museum (MNW) in Warsaw and the Haus der Brandenburgisch-Preußischen Geschichte in Potsdam all have some information. 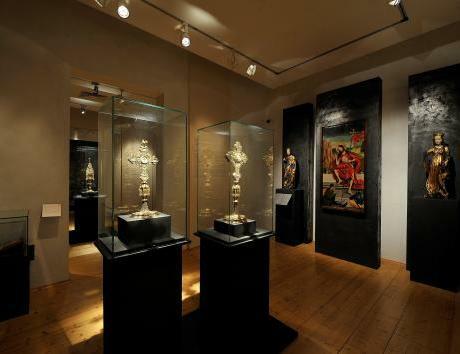 The exhibition was the most complete in Kutná Hora. Organized at a perfect venue, the Gallery of the Central Bohemian district (GASK), located in the former Jesuit monastery right next to the church of St. Barbara, the whole town was in effect part of the exhibition. The newly renovated building provided a great location for the exhibition, and it was comfortable to walk through the exhibition. The full list of the sections of the exhibition were unfolded here, which was easy to follow - although contained a few repetitions in my opinion. 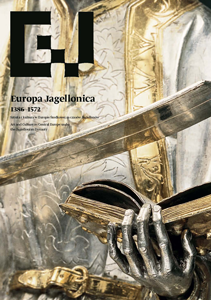 The exhibition Europa Jagellonica - Art and Culture in Central Europe under the Jagiellonian Dynasty, 1386-1572 is now open at GASK - the Gallery of the Central Bohemian Region in Kutná Hora. Coordinated by Jiří Fajt and Susanne Jaeger of the GWZO in Leipzig, this project has been in the making for years. It finally came to fruition as a Czech-German-Polish exhibition project, with further venues in Warsaw and Potsdam. Each site will have a special focus: in Kutná Hora, this is Silver Mining and Art around 1500. The focus of the exhibition is described as follows: "For the first time in history, the Jagiellonians will be presented as the European dynasty, which strongly influenced art and culture, within the wide international context of Central and East-Central Europe. Around 1500, Central Europe was shaped politically by the Jagiellonians (1386-1572), a Lithuanian-Polish dynasty whose members ruled over a vast region extending from the shores of the Baltic Sea to those of the Adriatic and the Black Seas. They were in fact among the territorially most powerful dynasties of Europe. Tragic events from 1526 onwards dismantled the Jagiellonian supremacy in Central Europe, and their place was effectively taken over by the Habsburgs who maintained their dominance on the European stage until World War I. Thus, Central Europe formed a political-administrative entity long before nation states came into existence. The exhibition accordingly opens up a twofold temporal perspective to its audiences: it is both historical and current. The cornerstones of European society today are formed precisely by the awareness of, the engagement with, and the continuation of these common traditions. They are crucial for present-day Europeans’ identification with their continent and culture." There is much to be discussed here - I, however, do not enough information about the project to enter into further details. I would just like to mention that despite various plans, there is no Hungarian venue for this exhibition, and there is no real Hungarian partner involved in the preparation of the exhibition (although Jagiellonian rule was significant in Hungary as well, ending with the death of Louis II at the battlefield of Mohács in 1526). There are, however, several Hungarian lenders to the exhibition, including the Hungarian National Gallery, the Museum of Fine Arts and the Budapest History Museum, among others. At present, there is very little information available on the project on either the central website of the project, or on the website of GASK. There is more info on the GWZO website, including a description of the exhibition project. 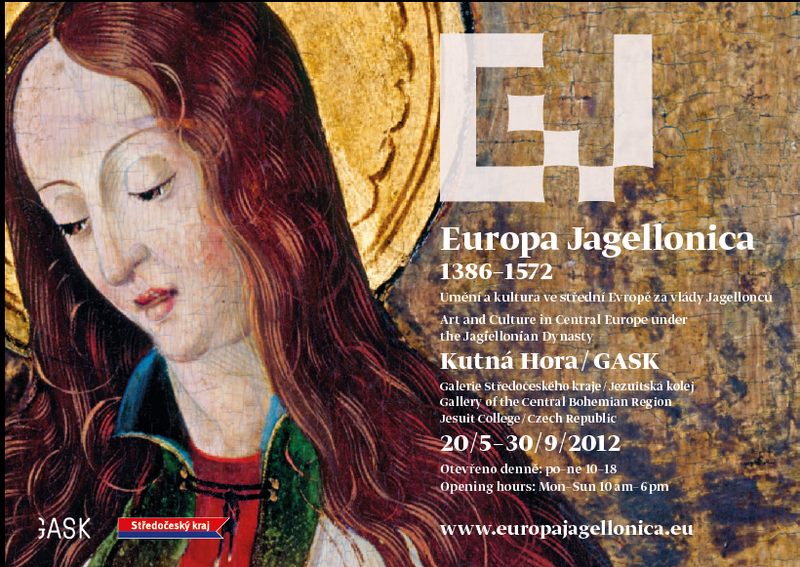 The exhibition will be on view in Kutná Hora until 30 September, 2012. 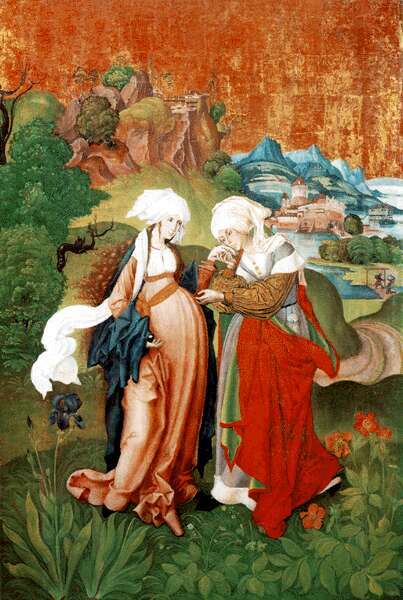 One more remark: the fliers and other materials of the exhibition (see the pictures on the GWZO website, or this earlier version of the exhibition description) feature one of the emblematic and most characteristic works from the Kingdom of Hungary from the late Middle Ages: the Visitation panel by Master MS (Martin Schwarz) from 1506, preserved in the Hungarian National Gallery. 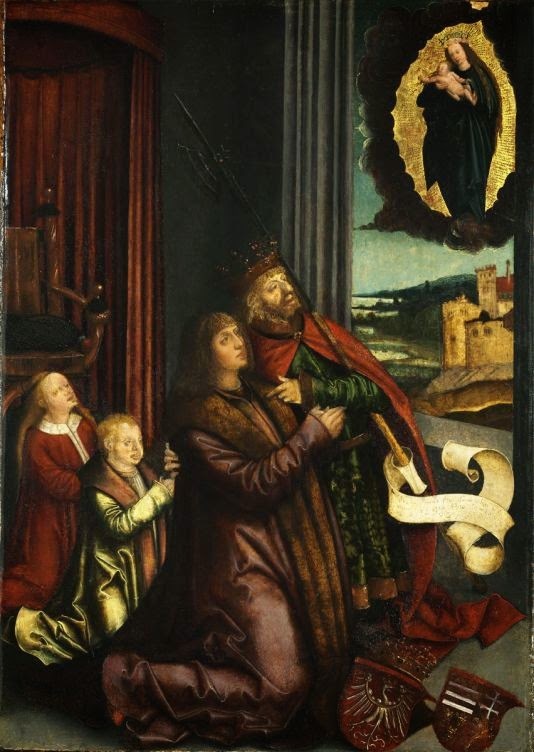 Alas, this panel could not travel to the exhibition due to conservation reasons, but can be enjoyed in high resolution on the gigapixel website of the National Gallery or in Google Art Project.